Knock your bloated shopping cart into shape and make it lean and mean before hitting that ‘purchase’ button, with these priceless tips. 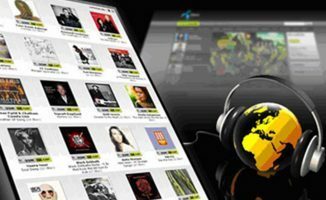 Shopping for music online can be a challenge if you’re trying to stay within a budget. You’ll spend your time seeking out new tunes, and often end up with a shopping cart loaded with way more than you wanted to spend. Now I know some of DJs spend hours on end listening to hundreds of tunes and only find one worth buying. (If that’s you, you might want to check out our tips on beating the “saturation blues”.) – but for the rest of us, here’s my advice on how to get the most bang for your buck and still stay within your set budget. I’m not trying to say you should never go cratedigging or pick up something from the past. However, if you’re not monitoring the release dates of the tunes you pick, you might then want to start with this. It’s 2013, and I’ll be honest, unless a particular tune from four, five, ten years ago is sending shivers of joy up and down your spine, then get rid of it. It’s more than likely you’ll play it once or twice, then file it away. That, or the tune that sounds really good to you now will sound very dated in a month. If you have to pick priorities, pick new material first and pick things you know you’ll play over and over for a while… not a few times. One other bad habit I’ve found is I’ll come across a tune I like and end up liking and picking two or three of the remixes. Now I’m ready to check out, and those remixes are making my bill much bigger than I’d ideally like. This is when nowadays, I pick one and dump the rest. Pretty much every time it’s a case where I have one version I really like and the others I like as well, but can only imagine using them in some special circumstances. In the end, I find I never use those other versions, and merely keep pulling up the one remix I like when the right time hits. Listen to everything that’s left, and remove whatever doesn’t excite you. This is the point when you now weed through all the stuff you picked out, and if you “slept on it” (like I advised in the past), some of those tunes won’t excite you as they did yesterday (or the day you added them into the cart). 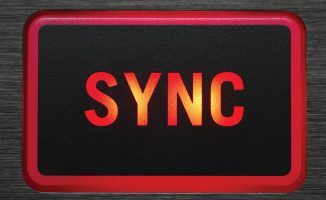 You might now decide a tune is too dark, too plain, too synthy, too cheesy, whatever. Listen to all the tunes you have left and remove what isn’t blowing your mind right now. No sense in buying tunes you’re not excited about so much any more and thus probably won’t play. One of the joys of capitalism is we have choice through competition. There’s a handful of great online music shops and thankfully we’re seeing more artists and labels reject going exclusive with one store. So maybe you’re on Beatport and one of the tunes you really want is set at US$2.49. Go on Traxsource. Go on JunoDownload. Go on iTunes. Go on Satellite. See who might be selling it for less. Maybe one of them will be selling it for $1.49 and you saved a dollar. (I’d only advise this though with the more expensive titles, unless you want to spend loads of time bargain-hunting). This is an ideal reason to make sure you’re set up and receiving emails from your favorite online music stores. Coupon codes happen often, especially if the website finds you haven’t been shopping much. This also is another good reason to shop less often… let them think they need to toss you coupons to get you to “come back” (or be really devious and rotate around more than one account). So check your email and see if you have any coupons you might have overlooked, or just search on Google. You could find some on those sites posting coupon codes for all sorts of online shopping. Believe me, it could be the nudge you need to get you right within your budget. The only other wisdom I’d leave with you is to keep your budget flexible. If you planned on spending $20, let yourself go up to $25 if you need. Sometimes just kicking up the budget a small amount will be easier than making hard decisions. But also, don’t feel you “have” to buy every time it’s shopping day: It’s fine to skip it if nothing’s really exciting you temporarily. Lastly, and I know it’s been said to death in our circle, please don’t pirate music. 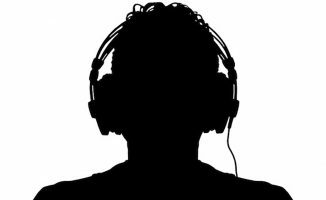 Don’t be hit with the temptation to just pop up a torrent or P2P program and download some tunes. Remember that your money spent keeps not only the store in business, but more importantly the artists and labels. Maybe they won’t get millions in sales from these sites, but the notches saying they sold music will nudge them on the charts, help them sell more, and especially push them to keep releasing the music you love. Keep it real. What’s your tip for keeping your shopping cart mean and lean? Have you found yourself spending far too much on music only to regret it? Or are you one fo those DJs who struggles to find anything you like sometimes? Please share your thoughts in the comments. Your Questions: Help, I Look Boring Behind the Decks! We’ve been here so many times, Pat. I think 320 vs WAV is a tiny, tiny part of the overall equation of what sounds good or not, and a good 320 MP3 will beat a bad WAV (mastering, mainly) every time. But each to their own, trust your ears etc. I respect everyone’s right to DJ with WAVs. But like you, my mind is made up on this one. I would tell DJs to only buy WAV when it’s music they love and believe in. Spend less on the crap you have to buy to please the crowd. I’m sure I should’ve known what I was getting in to by making that recommendation, hehe. Well, you’re using your ears and deciding – and that’s the best any DJ can do. Good on you! All good points D-Jam makes. I already do all of the above apart from searching for coupons. The biggest thing for me is to not get too bogged down whilst you’re ‘adding to cart’, then when you get to the end THAT’S when you can really sift out stuff you’re not super keen on. When I shop for music to make a new mix, I know that in an hour set I’m going to play about 15 songs. With that in mind I set a limit to how many tracks I buy. That number is usually between 15 and 20. Great thinking. Should dominate how you think about all music library stuff in my mind – especially packing crates for an event (“I’m playing for two hours, so need about 30 songs, so I’ll pack 60 in order to have a tight set with enough possibilities in it as well”). Mostly depends on the genre. If you play Electro House/Bigroom, then you’ll play each track for at least 2/3 min and then move on. If you play Deep House/Techno, it’ll be more like 10-12 tracks. So, I buy 10 at least, but they have to be really good (specially because I buy lossless, I’m one of those). Always check if the track has been released under a different label/album before. 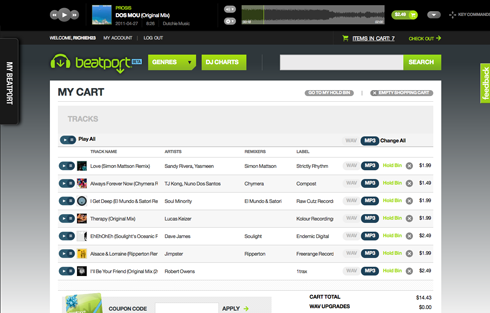 Beatport charges higher price for a recently released track even if an older (and cheaper) duplicate exists. I love the second idea especially. You can do this a day or two before a big gig – tends to really focus you! Got an iPhone? Use TraktorDJ and iTunes? Small Addition to point 5: If you shop at beatport and don’t have any coupons, simply let your selection rest in the shopping cart for a few days. They’ll usually send you a coupon code for 20% off. That never happened to me and I got a black belt in Put-this-in-your-cart-now-then-wait-a-week-or-two-till-you-actually-buy-it Fu. Check for itunes offers !! Several retail shops offer itunes specials … buy 2 cards, get the 3rd for free. This is a 33% saving. Bonus tip: Follow Traxsource on Twitter! They give pretty much every two or three weeks a 15% discount for their website away. 1. How do you feel about downloading songs from YouTube videos? Is that piracy? 2. How do you really DELETE a song from the iTunes library without it messing up the ITL file or still showing up as a title but ‘missing’ track? Bonus question: if you delete from iTunes is it still on your hard drive taking up space? iTunes is now very ‘cloud’. When I recently updated, I found all my few purchases on there and was allowed to download again. As for taking music from YouTube, I’ve only done that with mashups I could not legally buy or download anywhere…but I wanted to play them. I also did it with a few live performances I wanted to jam to on my iPhone. I don’t recommend it for music you can legally buy. It won’t sound as good as an official recording for sale. Downloading from Youtube … and that from the same crowd that trashes 320kbps MP3 as a viable music format. I don’t think you get many lossless audio streams on Youtube, do you? That’s what happened to me. Was buying some trance for a new mix, then found I had way more than I wanted to spend. When I whittled it down, the process just felt like a good idea for an article. Technically, those tracks made in bedrooms and just uploaded to SoundCloud wouldn’t be protected by the RIAA or whoever. No label or artist signed up in that. I’m also skeptical on all this. Lord knows I could forge receipts easily using design software…unless they’re going to do a network connect with the MP3 stores. I generally go by the honor system. I’d really like to point out an important thing: digging is heavy influenced by halo effect ! You dig and you find this super cool smasher banger hit makes you jump on desk: your followings track judgements may be influenced by this state of excitement. Listen to you short list randomly helps to cancel this. YES! Great point. Also, the “not heard music for a while” effect. Ever noticed how the first tune you hear loud after a bit of a break always seems to sound good? Agreed. It’s why one of the tips I put in beating the “saturation blues” is to shop less often. I actually only shop once a month. Whitelabel is free for registered Serato ITCH (I presume DJ and Scratch Live as well) users, but there’s one catch. To get the high quality playback, it must be played back on a Serato system. Traxsource is ALWAYS sending out promo codes for 15-20% off on a seemingly weekly basis. 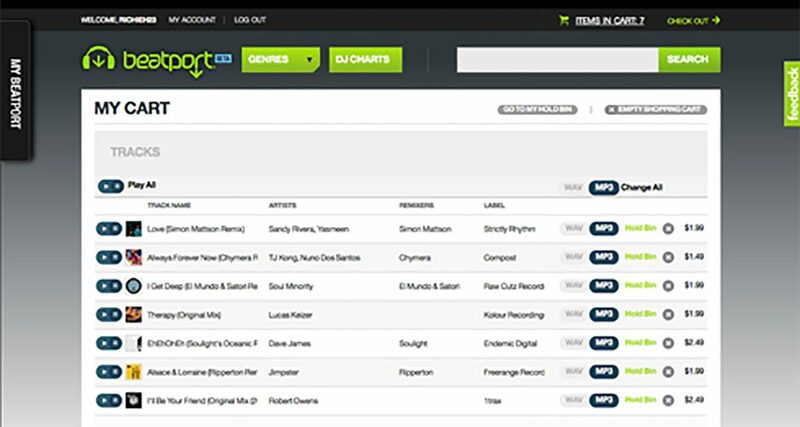 Subscribe to emails from beatport, traxsource, etc. and also check their facebooks, they tend to provide promo codes there as well. One tip I haven’t seen yet and that I sometimes do: if it’s not a very recent release, check if it has been included in a compilation release – there are many compilations that sell 30-50 tracks for 7-12 EUR – if at least 5 songs are worth buying you got a whole lot more just for free. iTunes has especially cheap offers when it comes to compilations. I don’t see anyone suggesting music pools such as zipdj.com or promo only or 12 inch promo pool. These have monthly rates i am a member of zipdj and i get unlimited downloads for $50 a month that saves me ALOT of cash when buying music. Promo Only also has a video pool where you can get high quality music videos for Serato Scratch Live or Virtual DJ.